You are here. So first, you go straight this way, then turn left here. 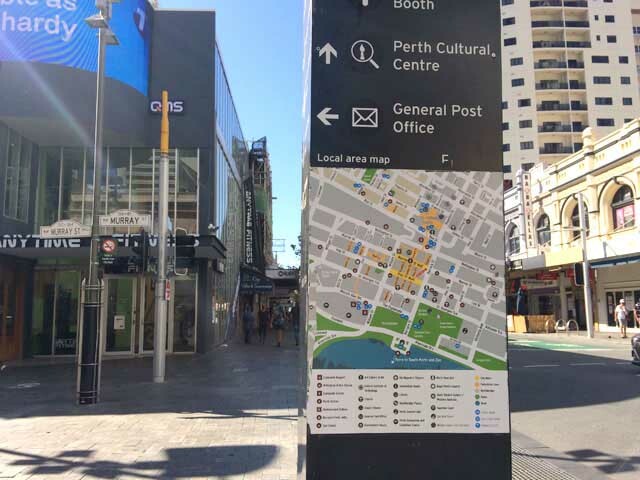 And go straight, and turn right here, then you will see the building. It will take about 5 minutes. You are facing this way, and Kaminari-mon is here. It’s on the left of the road. The shop is on the other side of the road. 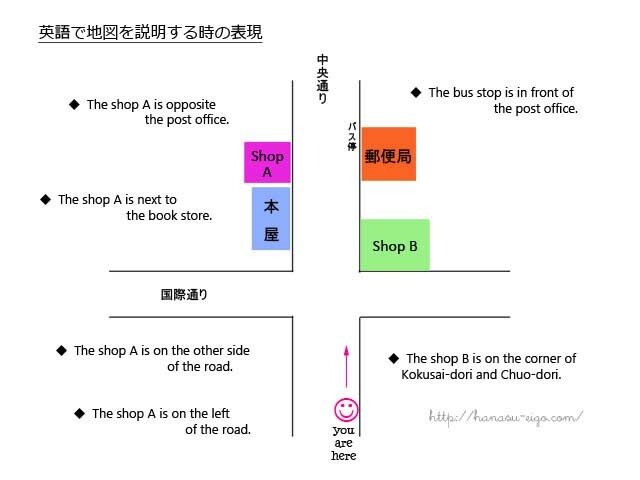 The shop is on the corner of Chuo-dori and Kokusai-dori. The shop is opposite the post office. If you’re going down the road, you’ll see a post office. “Up the street” or “down the street”? The shop is right down the street. The shop is over the bridge. If you’re going along Chuo-dori, away from the station for about 10 minutes, the shop is on the left. First, you go down the road toward the river. When you go over the bridge, you’ll see a police station on the right. The shop is right opposite.